Khan’s aims to ensure that the information contained in its site is accurate and reliable. However errors may sometimes occur. You should take appropriate steps to verify all information on this site before acting upon it. To the fullest extent permissible Khan’s disclaims any warranty or representation of any kind, whether express or implied, as to any matter whatsoever relating to this site, including without limitation the availability of the site. Khan’s may from time to time revise the information and products contained in this site and reserves the right to make such changes without any obligation to notify past, current or prospective visitors. In no event shall Khan’s be liable for any indirect, incidental or consequential damages arising out of any use of the information contained herein. By entering this site, you acknowledge and agree that the use of this site is at your own risk and to the extent permissible by applicable law, in no circumstances, including (but not limited to) negligence, shall Khan’s be liable for any direct, indirect, incidental, special, consequential, or punitive damages, losses, costs or expenses nor for any loss of profit that results from the use of, or inability to use this site or any material on any site linked to this site (including but not limited to any viruses or any other errors or defects or failures in computer transmissions or network communications) even if Khan’s has been advised of the possibility of such damage. Any goods displayed or provided on this site are done so on an “as is” and “if available” basis and Khan’s expressly excludes any warranties, conditions, representations or other terms with respect to this site or the content or goods displayed on it, whether express or implied, unless expressly stated to the contrary. The graphic images, buttons and text contained in this site and its layout and arrangement are the exclusive property of Khan’s and, except for personal use, may not be copied, distributed, or reproduced or transmitted in any form or by any mean, electronic, mechanical, photocopying, recording or otherwise, without the prior written permission of Khan’s. a) All Khan’s food products are Halal. Chicken & meat dishes are served off the bone, unless otherwise stated, except Tandoori chicken and Fish curry, which are served on the bone. 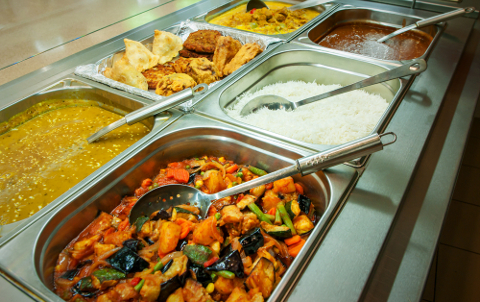 b) Khan’s Restaurant menus are designed to serve vegetarian and non-vegetarian diners as well as children. We offer dishes containing nuts, dishes suitable for vegetarians and dishes that are free from nuts, dairy products or artificial flavourings for those diners who have allergies (see healthy options menu). a) Khan’s Restaurant has the right to refuse a customer if he/she is found to be drunk, disorderly or causes damage to its property, staff or causes disturbance or harm to other customers and its service. b) Khan’s Restaurant does not allow dog(s) inside its premises. c) Khan’s Restaurant does not allow smoking inside the premises as per the current legislation. Customers may smoke outside the premises in the designated smoking areas. d) Khan’s Restaurant does not allow alcohol to be consumed inside or outside its premises by customers. e) Khan’s Restaurant does not accept cheques. We accept all major credit cards for diners eating in and pickup of takeaways. f) For diners eating in at Khan’s Restaurant there is a 10% service charge. a) These conditions shall apply to all orders and contracts for the supply of the products by Khan’s to the Customer. All orders for the products shall be deemed to be an offer by the customer to purchase the products in accordance with these conditions. Any variations to these conditions must be in writing, otherwise they will not be binding on either party. b) The acceptance of orders for the products shall be at the entire discretion of Khan’s. Our acceptance of an online order occurs when a members of Khan’s staff or personnel respond to the customer’s web site order by telephone call, at which point the order is repeated and confirmed. Up until this point, we may decline to provide you with the goods without giving any reason. c) You may not place any orders on our web site if you are under 14 years of age. Any cancellations, amendments or complaints about your order, must be made by telephone call, orally to a member Khan’s staff or personnel. If you amend your order, the price charged will be the price for the amended order. a) All Major Credit / Debit Cards and Cash are welcome for collection and delivery. b) Unless otherwise stated in writing the prices quoted by Khan’s are inclusive of VAT. 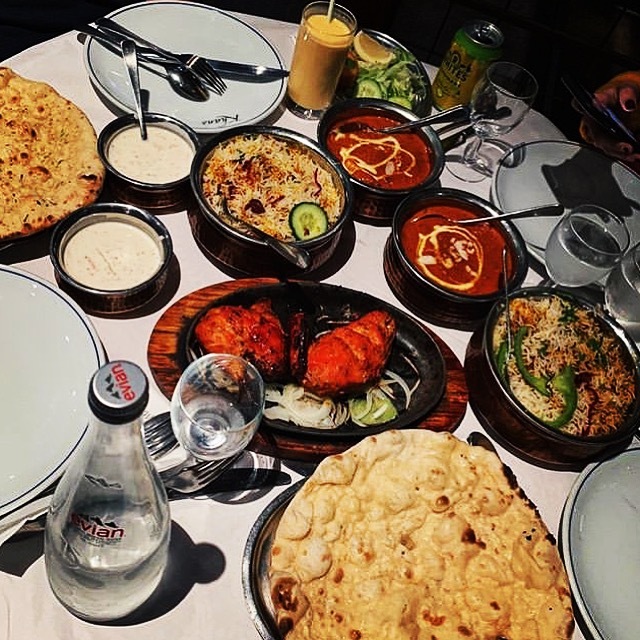 b) The price of the products will be as quoted on the Khan’s menu or web site at the time you confirm your order by submitting your order online. These are subject to change and any inadvertent technical mistake which we shall not be liable for. The price for your order shall be deducted from your account at the time your order is confirmed on the telephone. We reserve our right to terminate this agreement with you if we are refused authority for payment or reasonably believe that payment will be refused at any stage. c) You can pay by any of the methods listed on our order submission screen. Please make sure that if your order is placed using a credit or debit card, such card is valid on the date of placement of your order. Payment on delivery is restricted to cash payments only. d) All food consumed at Khan’s Restaurant or ordered online is the sole property of Khan’s Restaurant until paid for in full. Products are subject to availability. If your products are not available, we may offer you a reasonable substitute of equivalent quality and price when a member of Khan’s staff or personnel calls you to confirm your order and take payment This may affect the price you pay. 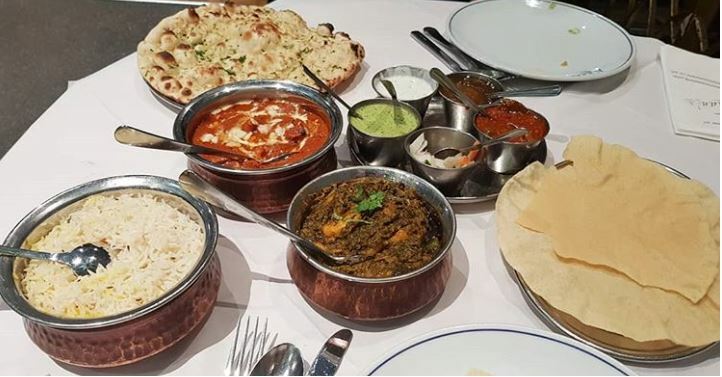 a) A free delivery service is available within 2 miles of Khan’s Restaurant, subject to a minimum order value of £15.00. A small additional fee of £2.00 per mile will be charged on orders delivered beyond two miles. We only deliver up to 4 miles from Khan’s Restaurant. b) An extra delivery charge may apply on some addresses, due to the congestion charge. c) Delivery time can take up to 45 minutes, this may vary at peak times depending on the distance of the delivery. We will aim to provide you with your ordered products as close as possible to the stated delivery or collection time. d) The customer agrees to accept delivery of the products at the agreed time and place of delivery. e) If you have chosen for the products to be delivered, Khan’s will deliver the order to the main entrance of the delivery address but any deliveries carried into the delivery address will only be made if the driver has your consent to this. If you are not present to take delivery of the goods at the address given in your order, then Khan’s will not refund you the price for the order and will charge you the full amount of the order price. f) Khan’s Restaurant reserve the right to refuse delivery. All risk in the products shall pass to the customer on delivery. The customer agrees that, in the event of any conflict, written information about the products supplied by Khan’s shall prevail over any oral statements made by Khan’s staff or personnel. Khan’s shall use all reasonable efforts to ensure that its written information about the products is accurate. From time to time Khan’s products may be subject to limited time special offers, such offers can not be combined with other existent or past special offers. Any special offers shall be subject to these Terms and Conditions which will prevail if there is inconsistency between the terms of the special offer and these Terms. We may change the terms of special offers or withdraw them at our discretion but Khan’s will honour any order placed by you before the offer expires or is withdrawn. a) To the fullest extent permitted by law, Khan’s excludes all liability arising out of its supply of the products and in particular shall not be responsible for any loss or damage, arising directly or indirectly out of or in connection with delay beyond the estimated time or date of delivery; any circumstances over which Khan’s had no control of the consequences and which Khan’s could not avoid by the exercise of reasonable care, or any indirect or unforeseeable loss suffered or incurred by the customer or others. b) In any event, Khan’s liability to the customer will not exceed the total price charged for the relevant items. Any contract to which these conditions apply shall be governed in accordance with the laws of England and Khan’s and the customer submit to the non-exclusive jurisdiction of the Courts of England. Nothing in these conditions shall affect the statutory rights of the customer.